Inspiring Ideas with artist Jeanne Winters: Art Print Giveaway Winner & Bonus! Art Print Giveaway Winner & Bonus! Thanks to all who entered my art print giveaway!! Your sweet inspiring comments were such a treat to read! What a neat bunch - I wish we were meeting together today for a yummy breakfast gathering and winner announcement so I could meet you all in person! "abigail" who wrote: "LOVE your prints!! 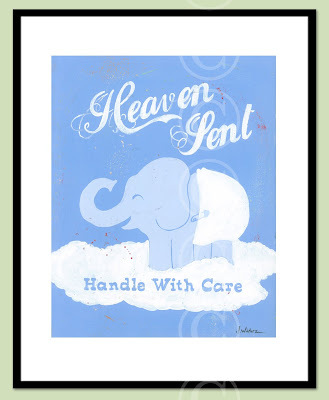 My friend would do anything for the elephant one...Thanks for the chance :) "
BONUS OFFER: I so appreciate each of you who entered! If you commented on my giveaway post, you may order any 8x10 print (or my book) for $6 off! Please write in the message part of the order process "Giveaway Bonus" and order by Wednesday. Thanks all! I'll be back tomorrow with some fun things I've been doing!